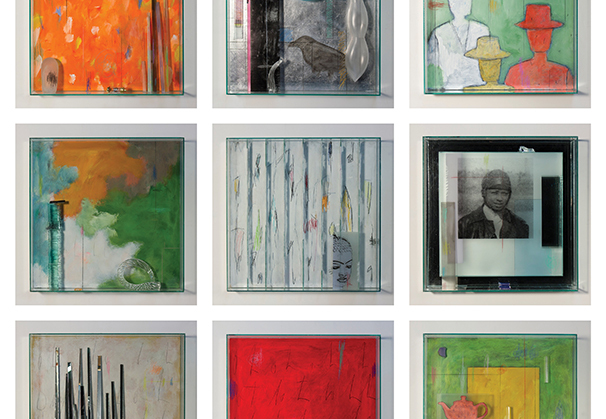 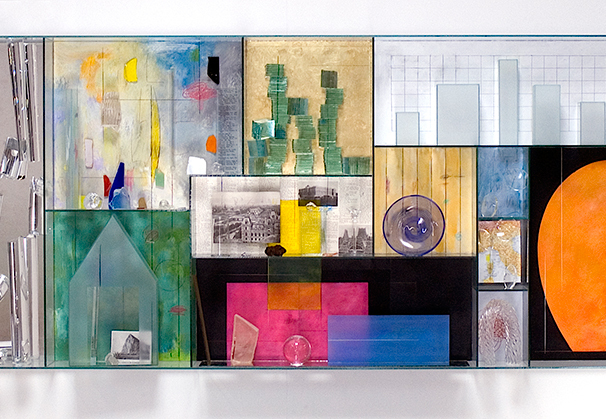 Therman Statom is a multi-disciplined artist and pioneer of the Studio Glass Movement. 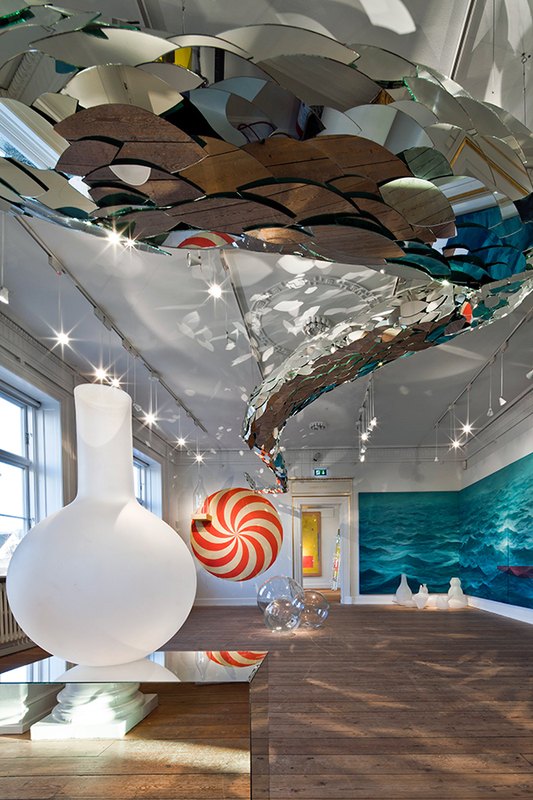 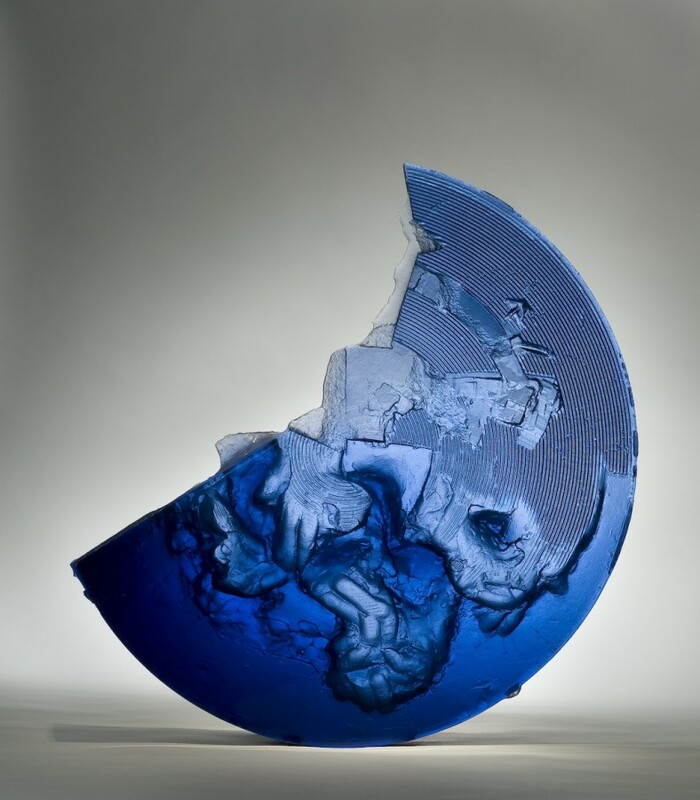 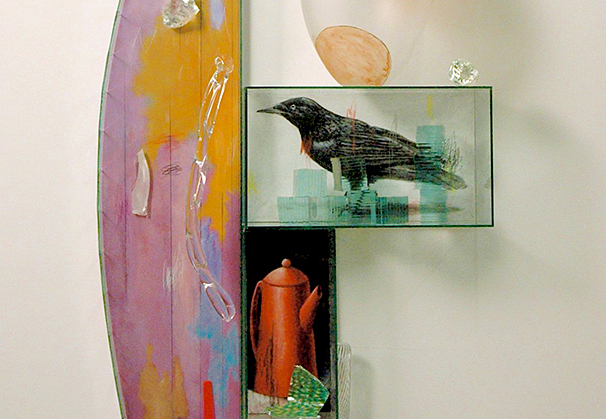 His works, combining his education in painting, skill as a glassblower, and innate eye for assemblage make him a unique talent within the studio glass community and fine art world. 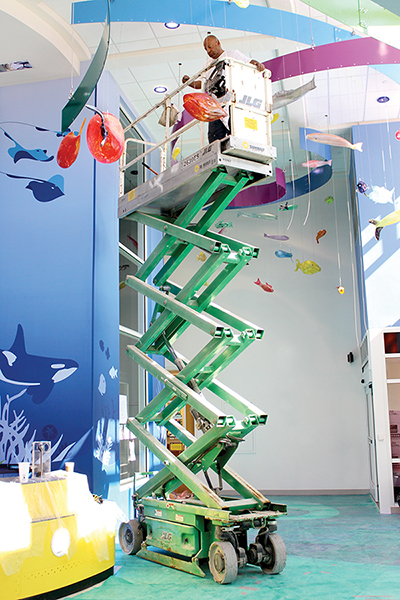 His iconic glass Ladders, Houses, Chairs, and Divided Paintings are included in numerous public collections throughout the world. 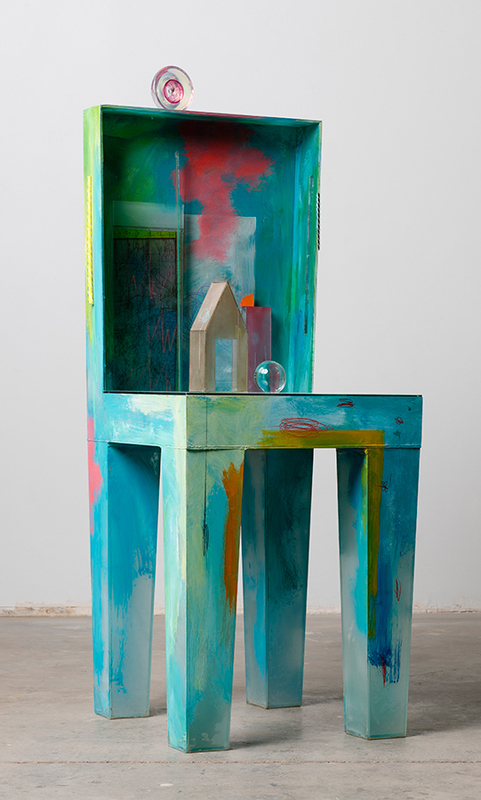 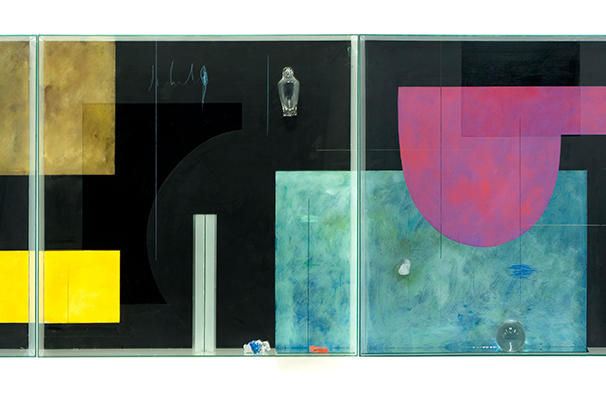 Statom is represented by Austin Art Projects, Palm Desert, CA. 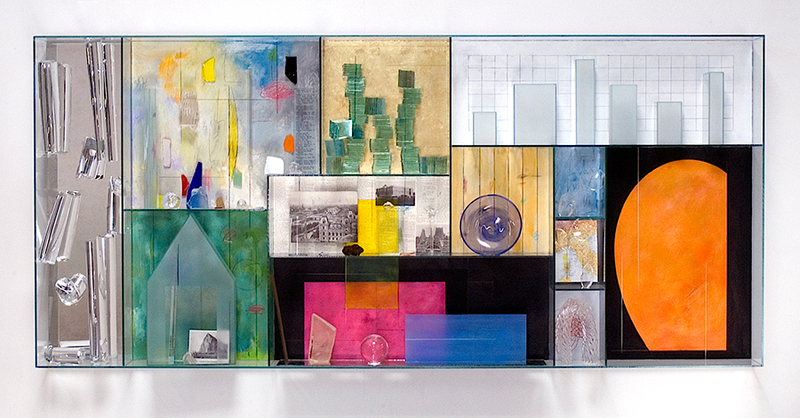 Therman Statom - sculptor, glass artist, and painter - is most notably known as a pioneer of the contemporary glass movement for his life-size glass ladders, chairs, tables, constructed box-like paintings, and small scale houses; all created through the technique of gluing glass plate together. 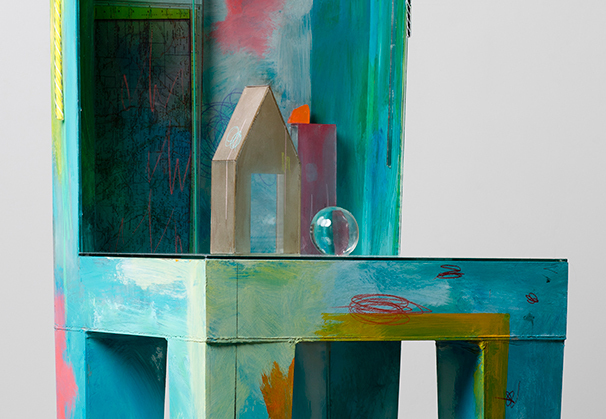 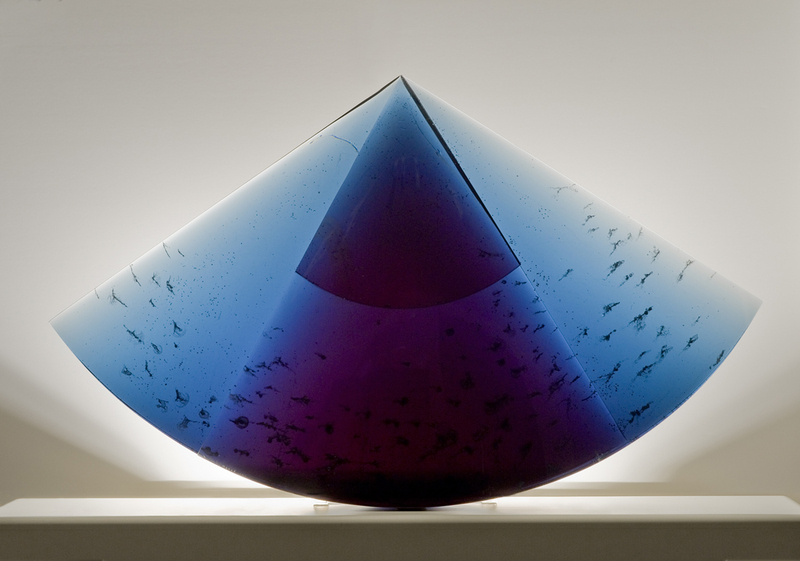 Sandblasted surfaces become a canvas for spontaneous vibrant colors and line work, which take nuances from Abstract Expressionism and concepts of Minimalism, while simultaneously incorporating a twist by using blown-glass elements and found objects. 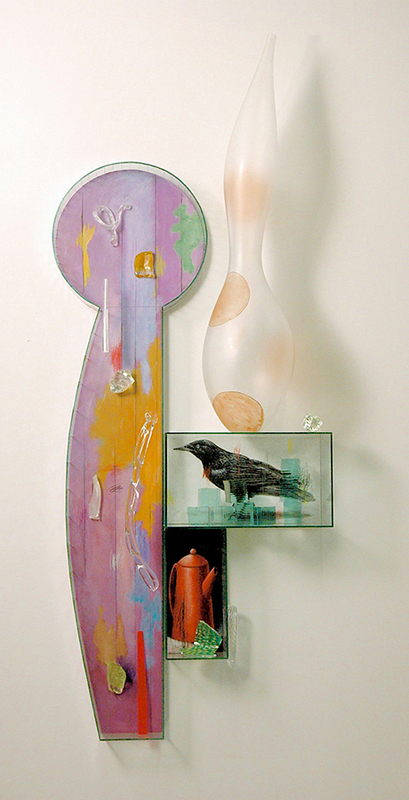 Born in Winter Haven, Florida in 1953, Statom grew up in Washington, D.C. His interest in the arts grew from a fondness of painting, and he began to investigate ceramics at RISD. 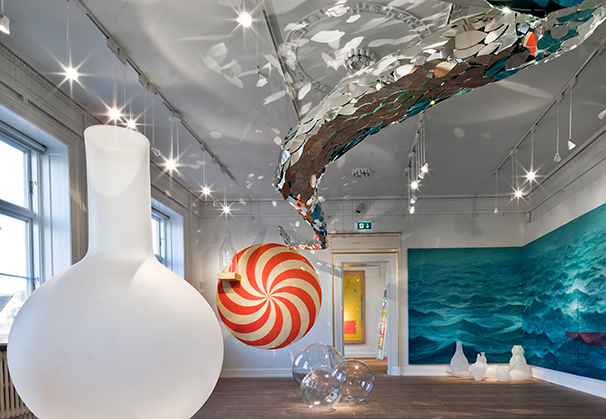 However, after an experimental glassblowing session with Dale Chihuly, he was soon hooked on the spontaneity of glassblowing and its limitless possibilities. 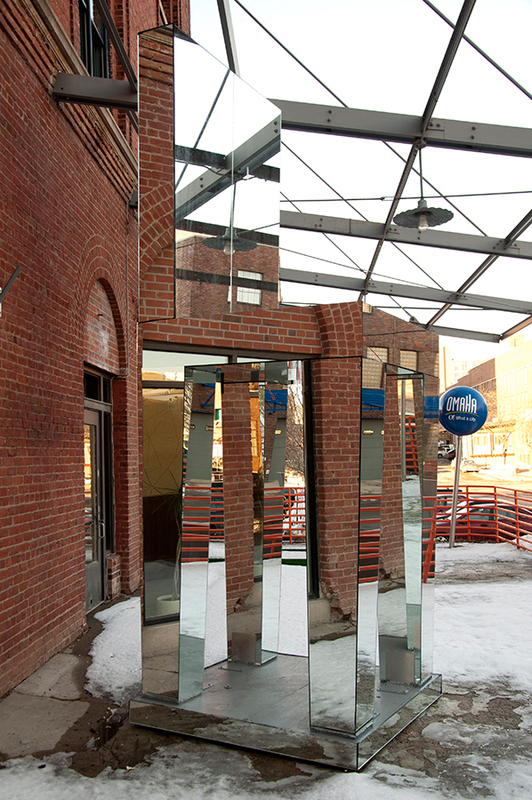 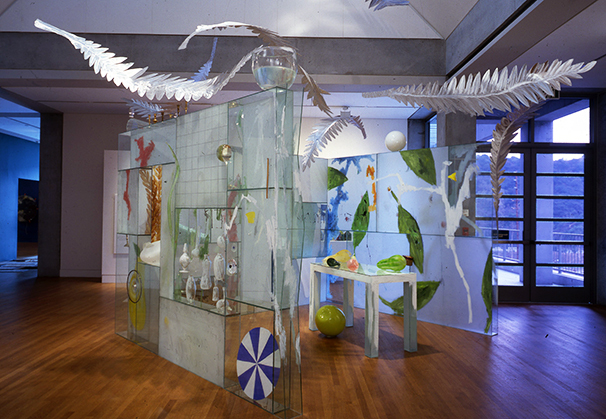 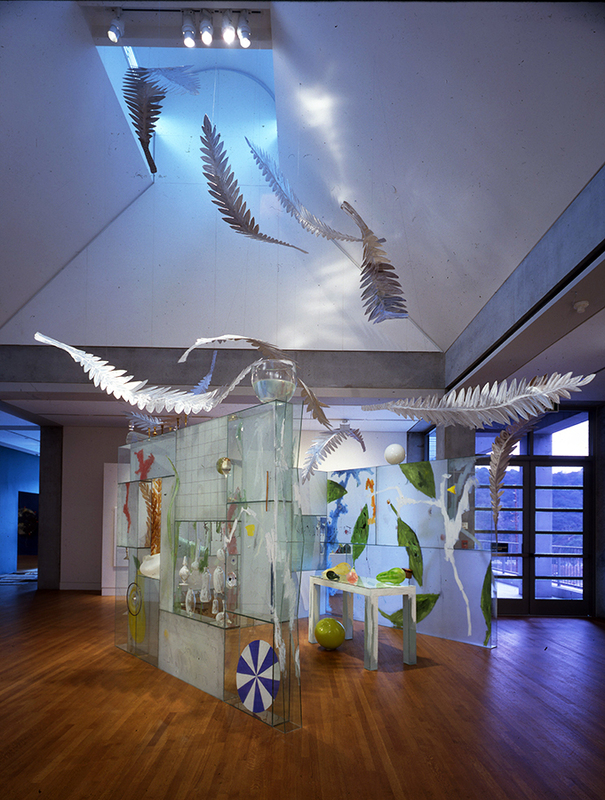 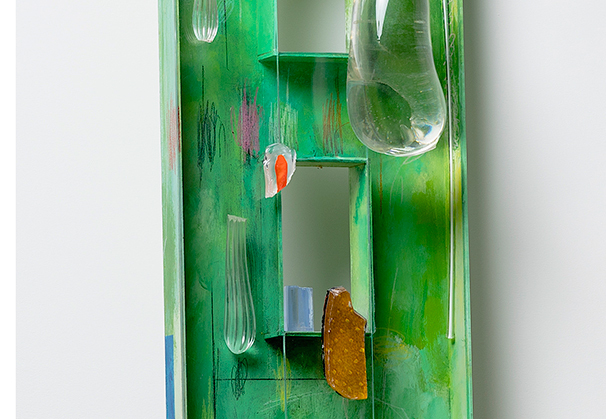 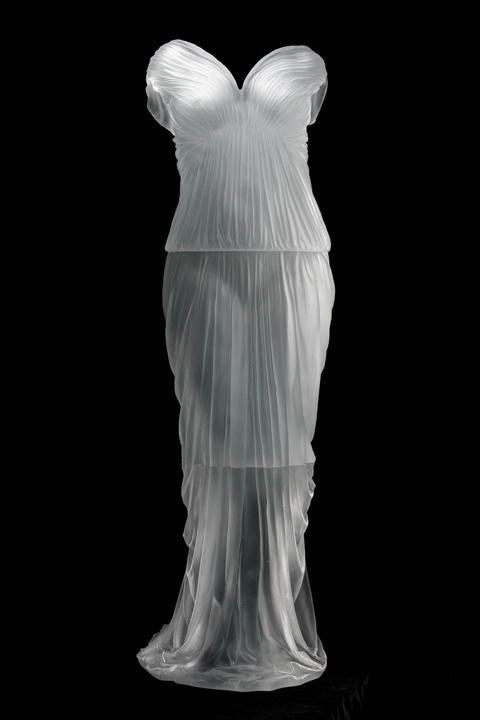 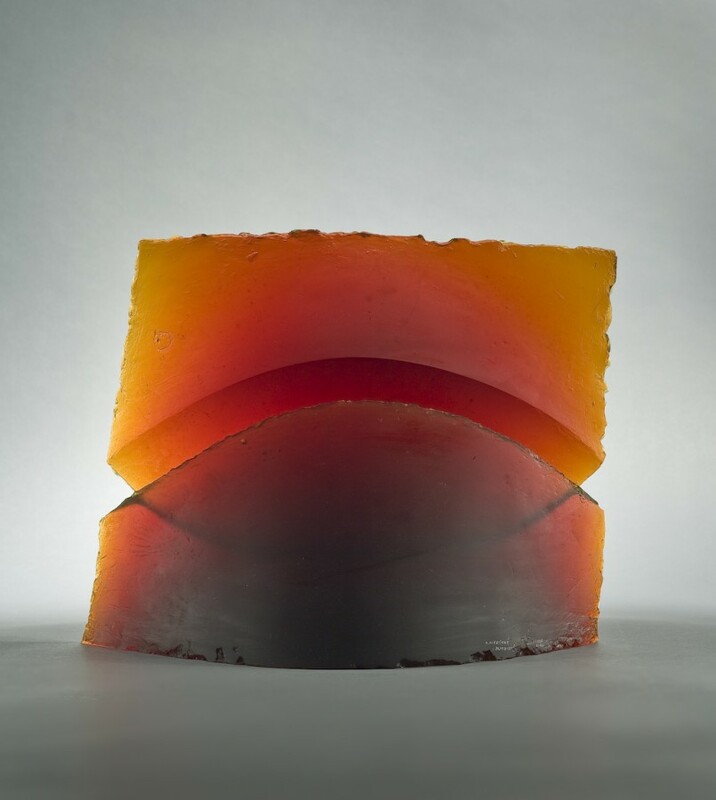 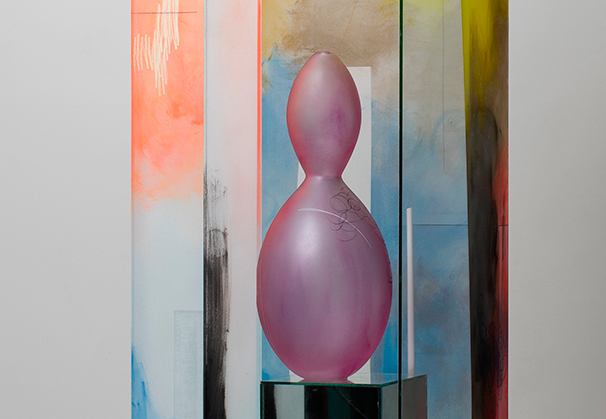 Statom went on to pursue studies at Pilchuck Glass School during its inaugural year, completing a BFA in 1974 from RISD, and later studied at the Pratt Institute of Art & Design. 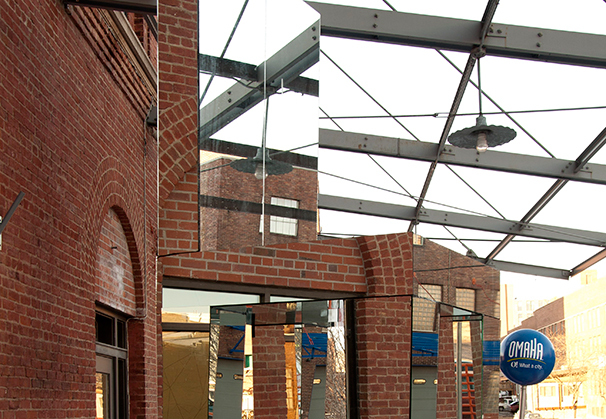 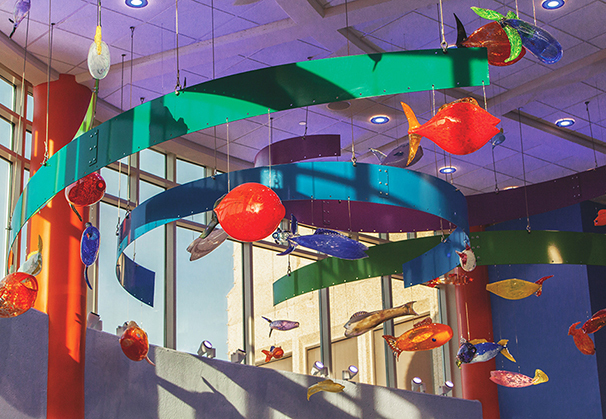 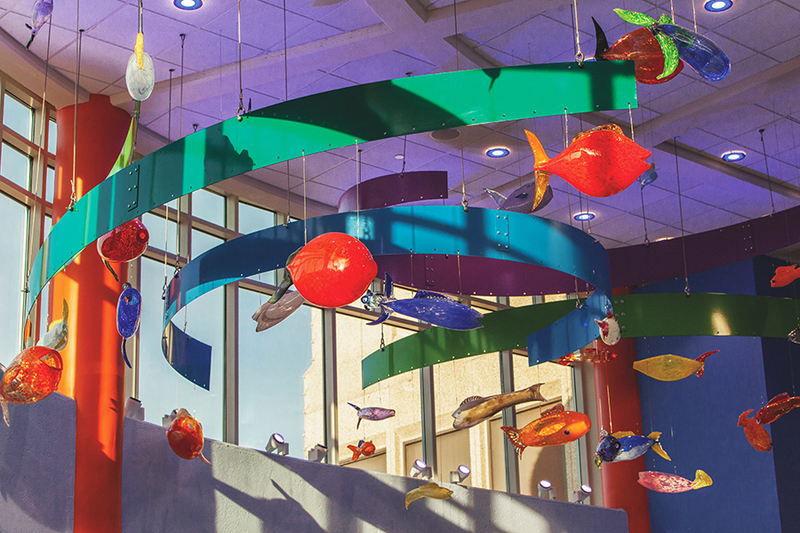 Therman Statom has successfully completed large scale public installations in the Corning, Inc. Headquarters, the Toledo Museum of Art, and the Mayo Clinic among others. 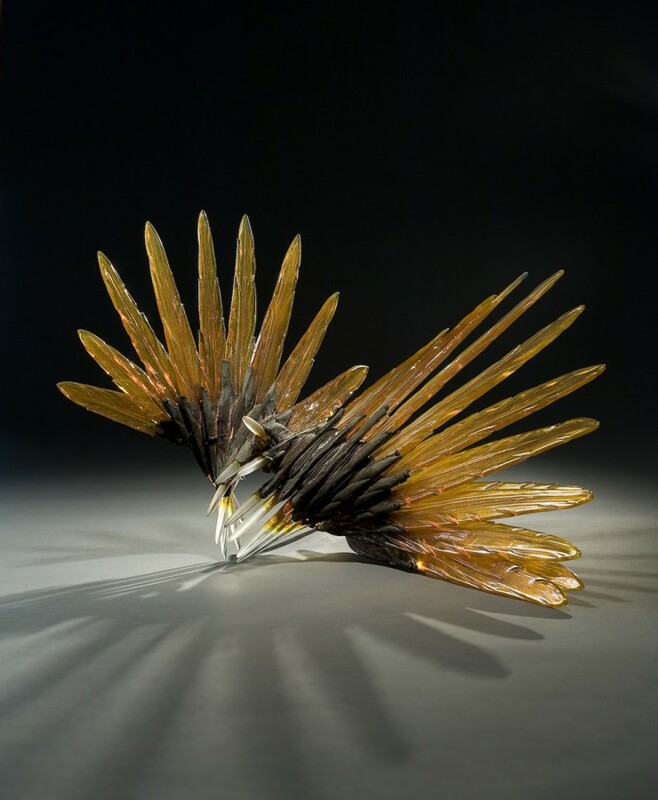 In 2018, Statom was awarded the Libensky / Brychtova Award which acknowledges extraordinary talent and high achievement in the world of contemporary glass. 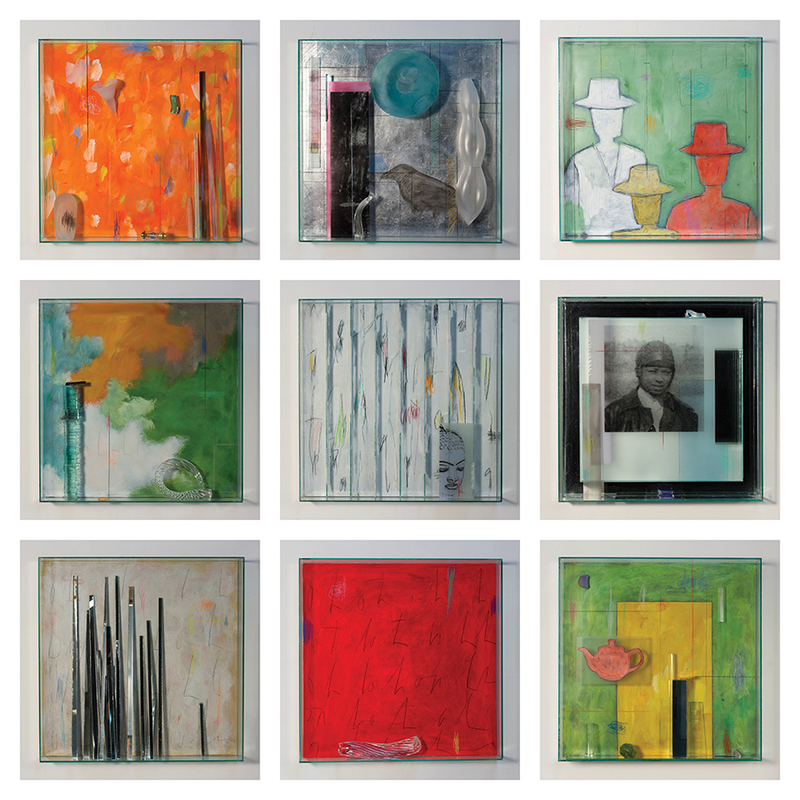 In addition to his successful career as a studio artist, Statom is an advocate for at risk youths and has used art as a tool for empowerment and education. 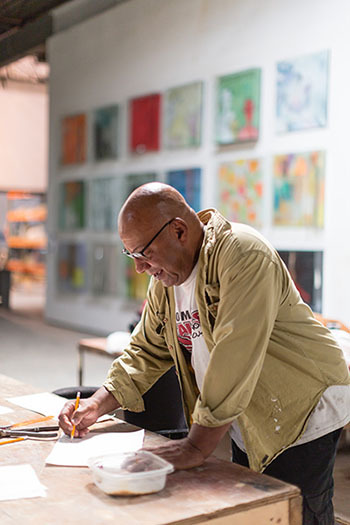 He has organized and implemented numerous workshops as a catalyst for social change and positively impacting communities throughout the United States, Africa, and Europe. 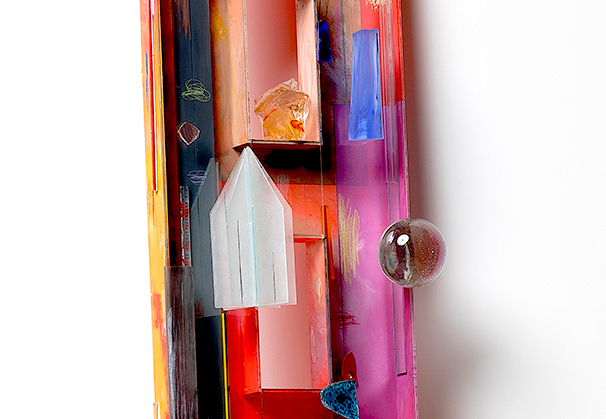 We are grateful to Austin Art Projects, Palm Desert, California, for providing the materials for the Artist of the Month.